Every year it is a tradition for me to publish a list of books that I’ve read and recommended. The 2018 list is pretty stellar, and one of the reasons that it’s even more impressive is because over 60 other people read them with me. Back in 2017, I started a book club called Thought Readers. And just like that, Thought Readers was born. 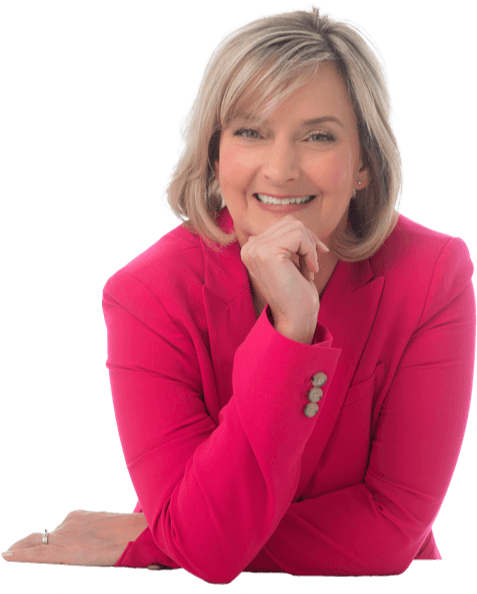 Our formal education should never mark the end of our learning, and as business owners, the best investment we can make is in ourselves and our personal growth. Reading has been a huge part of my life for as long as I can remember, and without it – I wouldn’t be where I am today. Reading is super valuable, especially for individuals who are always on the path to sharpening their knowledge and leadership skills. Here is the entire list of the books read in 2018 for Thought Readers and a brief recap of why I recommend them. If you’re interested in reading a book a month with us, I encourage you to jump in and join before the new year starts. 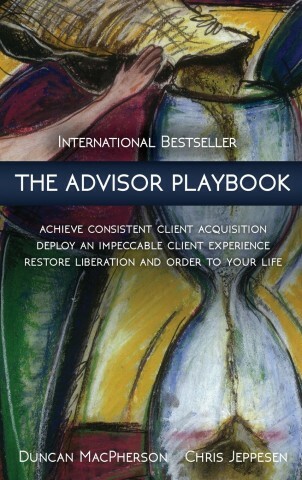 The Advisor Playbook was a great start to the book club. While it is written for people in financial services, the methodology the author shares is really applicable to anyone who is looking to improve how they interact with their clients. Some of the key takeaways from this book were around how to achieve consistent client acquisition, deploy an impeccable client experience, and restore liberation and order to your life which I think we could all use more of. One of the things the author does a great job at in this book is helping you to understand what your relationship management process should be with your customers so that you can keep them, and receive referrals from them too. This book was one of my favourite reads. 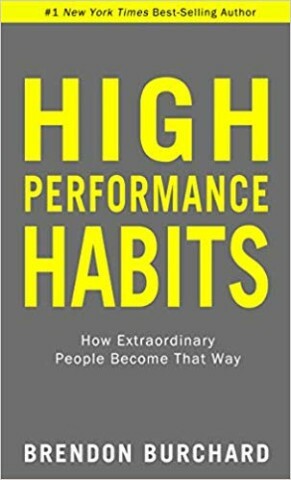 High Performance Habits is about how regular people become extraordinary and focuses on six core areas: Clarity, Energy, Necessity, Productivity, Influence, and Courage. The great thing about each of these habits is that they are teachable and learnable. If you’re looking to become a high performer in your life and business, this book will give you actionable strategies, and to be honest, may overwhelm you with what it takes. I suggest reading it and taking ONE thing from it, and then incorporating that new habit into your life. Once you do that, look for a second, and so on. One thing that stood out for me is your PQO, referred to by the author as your Prolific Quality Output. High performers produce more high-quality output than their peers over the long term, and that is how they become more effective, better known, and remembered. 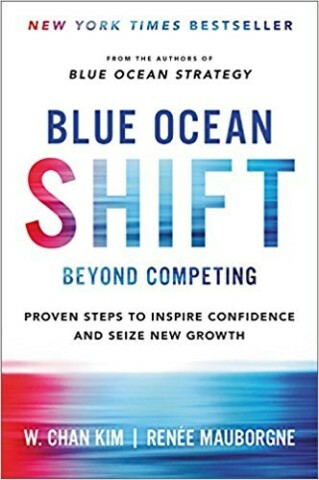 Blue Ocean Shift is the follow-up book to Blue Ocean Strategy and the authors over-delivered on this one. I love the metaphor of shifting from red oceans of crowded competition to blue oceans of new market space. It reminds me of the crowded space we see on social media every day and my own quest to stand out from the crowd and be a voice people want to listen to versus a voice that yells the loudest. 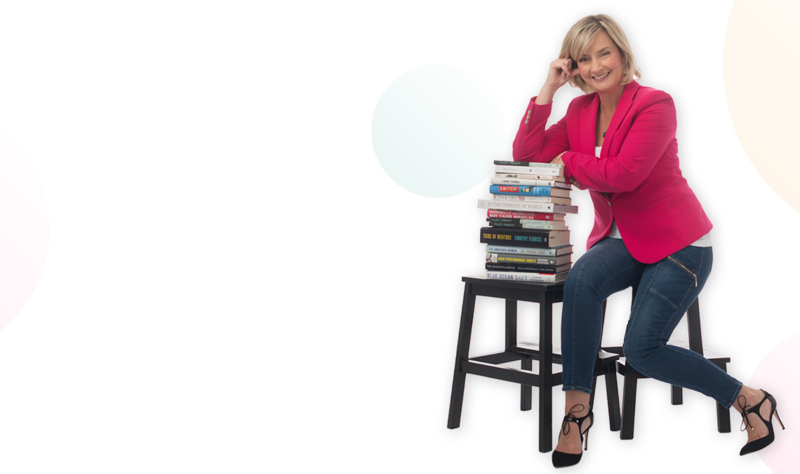 This book gives you the framework to think about your business differently and to see and identify opportunities that you’ve previously overlooked. Being different isn’t luck, there’s a systematic approach to making it happen. 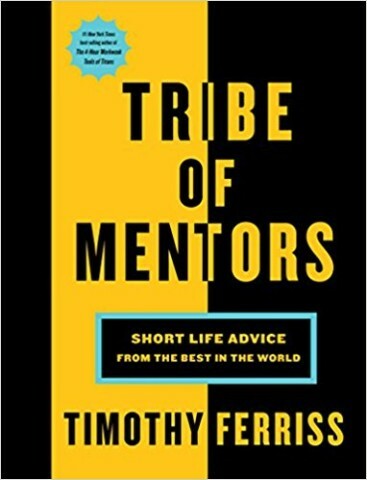 Tribe of Mentors is a collection of interview questions answered by the world’s top leaders and minds to give you the secrets to success, happiness, meaning, and more. This book has so many incredible nuggets of wisdom, and for it to be most effective, I would suggest reading it a little bit at a time instead of all at once. Think of it as a mentor a day, instead of trying to cram what felt like 5000 pages into a month. I found new leaders who I wanted to follow and learn from and I also found that many people have cultivated the same habits for success that you probably already know and don’t do: Read more, meditate daily, exercise, and eat healthily. The best part of this book was how to gracefully say no – which one of the mentors Ferriss approached did and he published in the book. 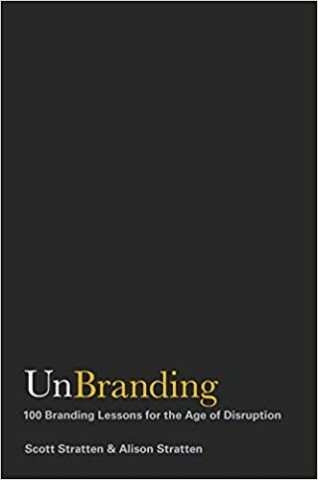 UnBranding will make you think about how you brand in a different way. Through a bunch of stories, the authors show you how brands have been positively and negatively impacted through things that they’ve done. From The Pooptastrophe (yes) to Man Cold Marketing, you’ll viscerally experience what it means to create “brand” for others. The authors illustrate this is a fun, engaging and easy to read manner. 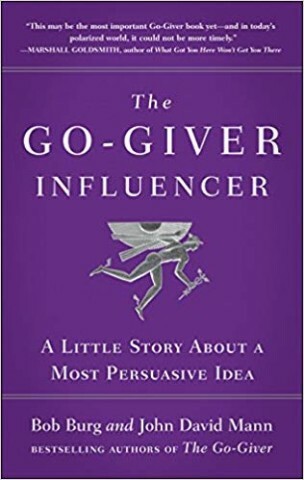 The Go-Giver Influencer is the story of two young business people who are learning the positive power of influence to gain agreement on a business deal. As business owners, we negotiate on a daily basis. This book is about the process of ethical and effective negotiation, in order to settle disputes, conflicts, and to find common ground when you find yourself in polarizing positions. One of my biggest takeaways from the book was that often, we go into negotiations not even fully knowing what we want which makes it super hard to end up getting the outcome we desire. What I loved about this book the fact that it reminded readers that we are all human beings, and no matter the money or power involved in the negotiation, being empathic towards each other can go a long way. 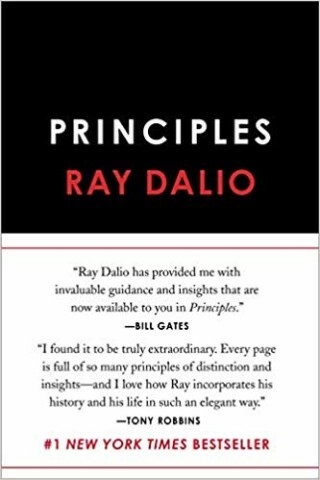 This book is about the author, Ray Dalio’s unconventional principles of life and work that made him one of THE most successful people. This book is your glimpse into a brilliant mind that got that way by paying attention to the day to day details of what worked, and what didn’t in life and business. He took those day to day observations and turned them into principles to guide all of his decision making, basically removing the emotion that gets in the way of how we approach problem-solving. 8. 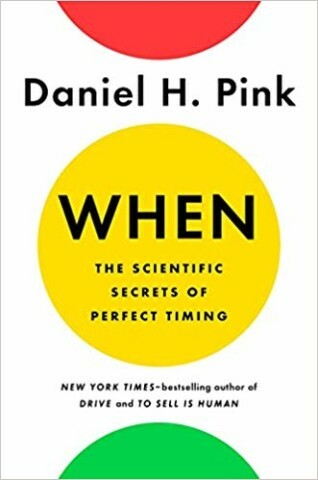 When: The Scientific Secrets to Perfect Timing – Daniel H. Pink. Are you an early bird, a lark or a night owl? Do you know WHEN you should do your most important work and how do you feel about napping? When is one of those books that will start to shift the way you think about your day and instead of asking yourself how to do the most important things in life, it will challenge you to figure out when. This book is all about ideal timing – understanding how to stop guessing and going on intuition, and start making decisions based on science. I loved his take on having a nappuccino. Pink says that naps improve our overall health, strengthen our immune system, and are a great aid for improving performance. He suggests drinking a cup of coffee mid-day and then napping for 25 minutes. 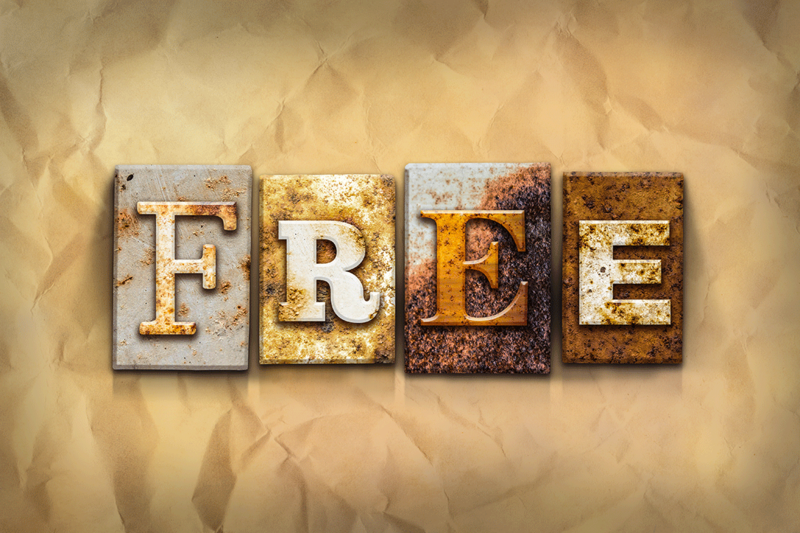 Since caffeine takes about 25 minutes to enter your system, you can expect to wake up from your nap feeling refreshed and ready to go. Chip and Dan Heath have once again written a powerful book that will cement ideas into your mind forever. The moments we create for others, last a lifetime and when you carefully think about how to create those moments for your loved ones or customers, you can create a lifelong memory and even impact change in the world in a really positive way. In one story they shared, they spoke of two educators who were running a start-up charter school. These two men, after a long day of classes, were at a bar watching ESPN’s coverage of “National Sign Up Day” for students who are graduating high school and have signed a letter of intent with a college to play football and asked themselves, how could we create our own Sign Up Day? They decided that academics should be celebrated in the same way as athletics and set off to impact change. They called it Senior Signing Day and allowed graduating students to declare publicly where they would be attending college. The first year, 450 people showed up to support the students, and they only had 17 graduating students. Imagine that, only 17 students! Six years later, 5000 people showed up and the number of graduating students had grown to 126 with 90% of those students being the first person in their family to ever attend college. Think about that. A moment, in a bar, watching ESPN created that experience for all of those kids. That’s the life-changing impact of a moment. 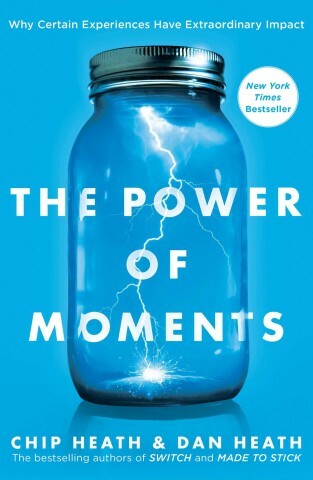 The Power of Moments is one of my favourite books of the year too. This book went hand in hand with The Power of Moments, and I would highly suggest reading both of them if creating magical experiences for your customers is a priority for you. 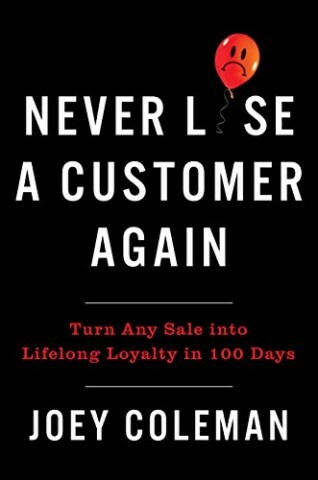 This book is all about keeping your customers, and not only that but creating lifelong raving fans of your business. 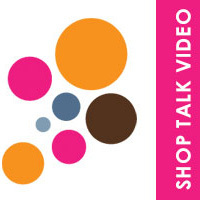 Imagine if you never lost a customer again?! 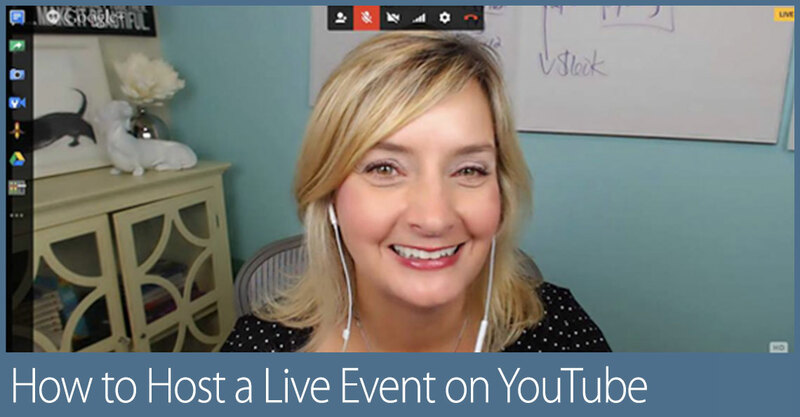 Imagine how huge your businesses could be. One of my biggest takeaways and the foundation of this book was the eight-phase method of your customer’s journey. 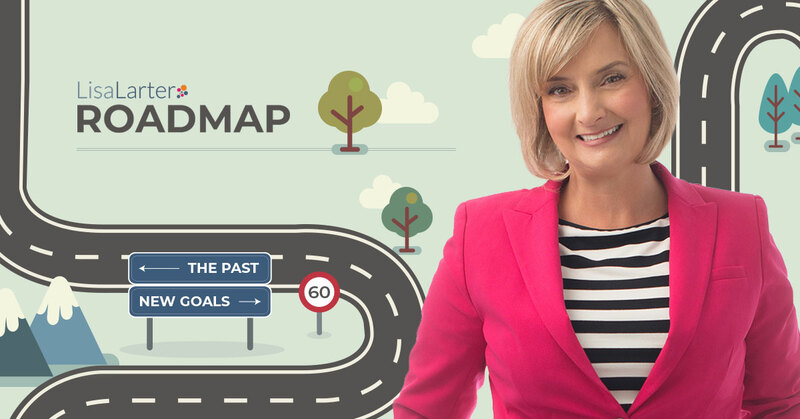 That system will help you identify your ideal customer’s emotional needs, guarantee their desired outcome and if you follow the process, you’ll have customers who keep doing business with you and who can’t wait to send over referral business. Entrepreneurs spend way too much time trying to attract new customers and greatly underestimate the value of retaining the ones you’ve already got. It would take you a year to implement all the great ideas in this book but I guarantee, it would be worth it. 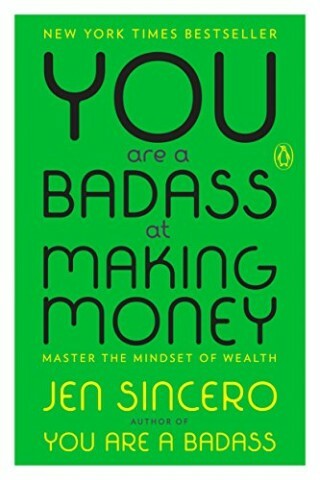 This book is a really well written, easy read and can have a huge impact on our mindset about money and wealth, but if you’re looking to become a badass with money, keep looking for books. This book will teach you tons about how to reshape your thinking about money, but if I’m being totally transparent, I don’t believe it captures practical, “how to make money” strategies and definitely does not teach you how to be wealthy. One of the most controversial success stories in the book is about a woman who manifested $75,000 because she FORGOT she owned stock. 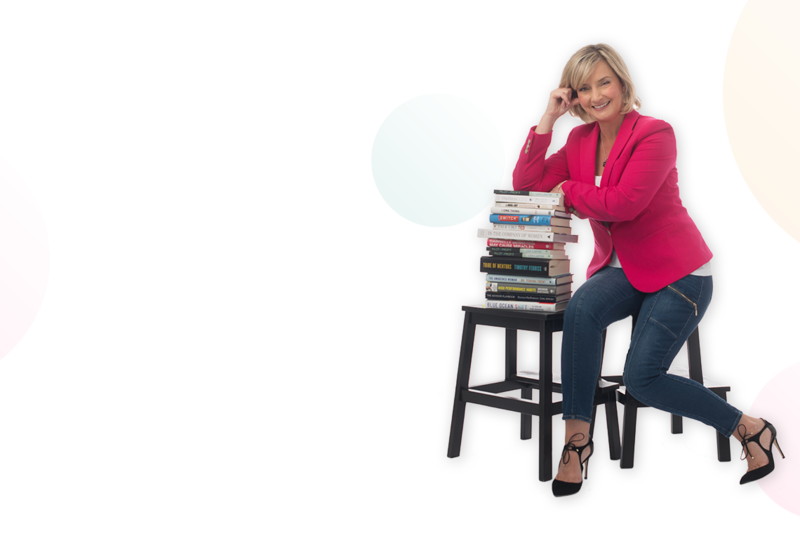 The author wrote, “If she can do it so can you.” Needless to say, this did not resonate with many of the hard-working entrepreneurs in our book club. I would suggest taking some of the things written in this book with a grain of salt. This book should be called Hyper-Scatter-Focus because the first half is dedicated to being hyperfocused and the second half is all about being scatter focused. 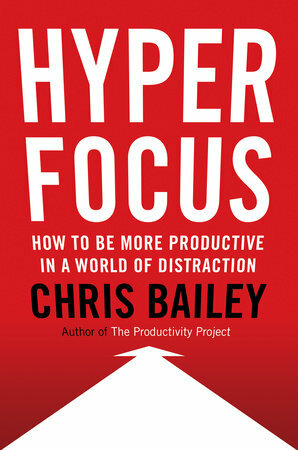 I really enjoyed how much this book created a huge sense of awareness for me in terms of how much time we spend distracted and unproductive. It could be because the author speaks about the time we waste on screens, social media and how notifications distract us from quality work, combined with Apple’s new weekly screen time notification that caused this awareness for me. I realized that I am rarely hyperfocusing on my work and there are so many ways I can improve this in my personal life and my business. In addition to being aware and learning strategies for focusing, I was also reminded of the power of allowing your mind to wander. One practice this book offers that I haven’t done in quite some time is to sit with a pen and notebook, with your phone out of reach, and to write your creative ideas for 15 minutes. At first, it’s a bit awkward but after a while of sitting, you’d be amazed at the great ideas you come up with. This is a great read if you’d like to be more productive in 2019. 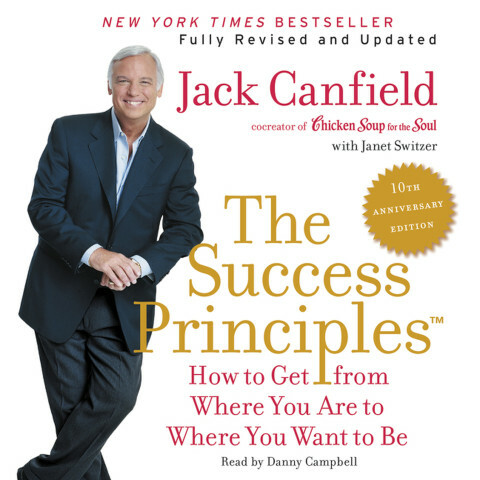 We’ll be diving into The Success Principles in December, but this book is one that I’ve already read and can say with confidence, is one of the books that changed my life. I first read this book in 2005 when the life I have today was a dream. I can safely say the principles in this book have influenced my life and many of the outcomes in it. The principles in this book can change your life but only if you’re willing to follow them. Many of these books provide common-sense strategies and tactics that anyone can apply but few do. Fewer people even read 12 books in a year, let alone approach their reading like a student the way we do in Thought Readers. Next time you pick up a book – grab your pen or a highlighter and mark up the pages, review what you’ve highlighted and implement some of those ideas and strategies into your life right away. If you want to do this with a group of like-minded people where you can stay accountable for reading, and have me share my insights with you, join Thought Readers. We don’t just consume the books, we digest them. We discuss them and have conversations around what our key takeaways are from each book. If you’d like to participate, you can register and read all the details here. Leave me a comment and let me know one book you read this year that you’d highly recommend. I’m always looking for great books!